A cooperation with peer to space. Ongoing series of Pecha Kucha Art Nights since 2015. Pecha Kucha (Japanese: ペチャクチャ, chit-chat) is a presentation style in which 20 slides are shown for 20 seconds each (6 minutes and 40 seconds in total). The format, which keeps presentations concise and fast-paced, powers multiple-speaker events called PechaKucha Nights. Curator Tina Sauerländer and me invite speaker from the art field to speak about topics like “What´s hot?!”. 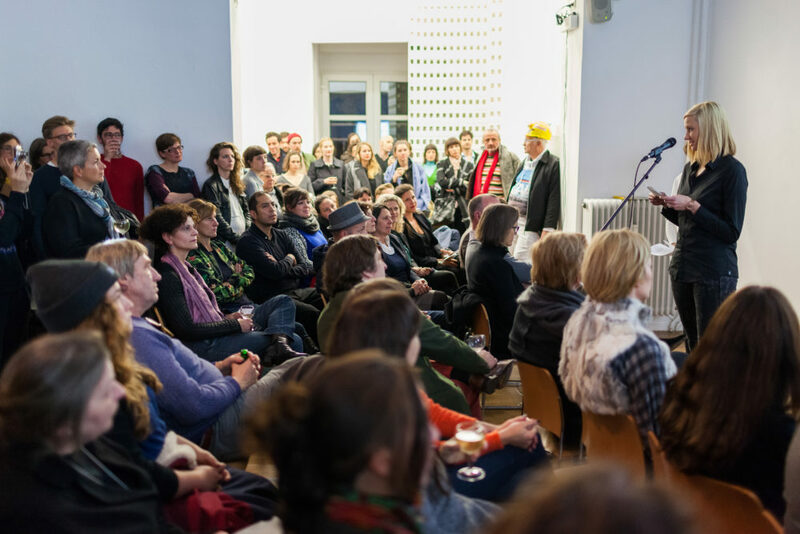 The Pecha Kucha Art Night takes place at Haus am Lützowplatz and Martin-Gropius-Bau.